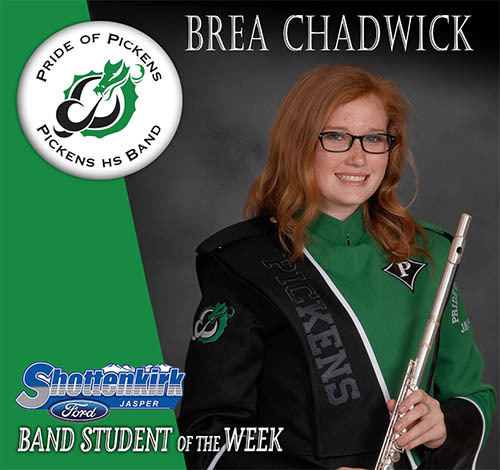 Our Pickens High School Band student of the week is Brea Chadwick. Brea is a sophomore piccolo player in our marching band and first chair flute in our concert band. She has improved greatly this year and is always so helpful in assisting younger players. She has shown great leadership and initiative all year. We are proud of her hard work and appreciate all she does for our band family.